The Harvard Business School started accepting GRE scores for admission to their MBA programs in 2012. "We are pleased to widen our requirements to give all MBA candidates the option of submitting results from either the GRE or GMAT exams," said Deirdre Leopold, Managing Director of Admissions and Financial Aid. "Since many HBS applicants are also considering graduate programs besides the MBA, there is now no need for them to take the GMAT if they have already taken the GRE. We believe that both the GMAT and the GRE meet our expectations of what a standardized test can tell us about a candidate's ability to thrive in our MBA Program." Note: Applicants should also get in touch with the colleges they're interested in and directly confirm the precise admission requirements. Apart from these MBA programs, there are many non-MBA master's and doctoral programs in business that accept the GRE revised General Test scores. You can access the complete list of colleges and institutions that use the GRE scores. You can choose up to 4 colleges/ universities to receive your GRE scores. 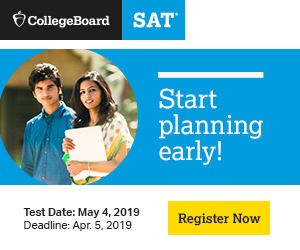 If you wish to apply to more than 4 schools, then you need to pay an additional fee ($27 per college) for the additional score reports that will be sent to the colleges of your choice.